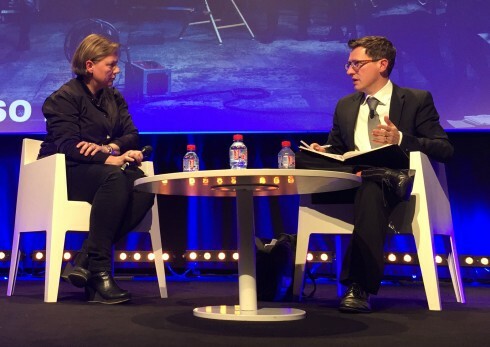 As ever at MIPTV, broadcasters are doing a lot of listening – to production companies pitching their new formats. But the channels are also talking, in several of the conference sessions convened to help them explain what they’re looking for and how their businesses are evolving. This afternoon’s The Channels Talk session featured Piv Bernth, head of drama, DR Fiktion at DR in Denmark; Nacho Manubens, SVP of drama at Atresmedia Televisión in Spain; Craig Morris, launch director at Spike UK; Susanne Mueller executive director of feature films at ZDF in Germany; and Åsa Sjöberg, director of content at TV4 in Sweden. The moderator for the session was co-production consultant and executive producer Dominic Schreiber. 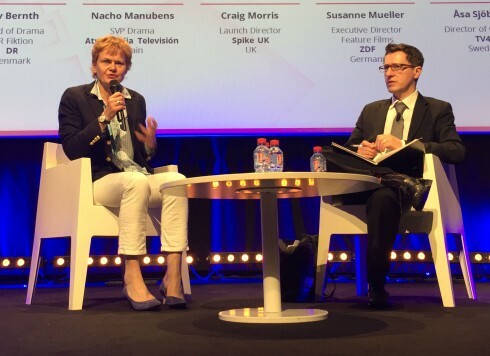 Spike’s Craig Morris (top photo) spoke first, ahead of the channel’s launch in the UK – the first international launch for the US brand, through Channel 5, which was acquired by Viacom last year. “What we’re aiming to do is to tap into Channel 5’s rich archive and bring it together with a panel of great shows from Spike,” he said. “We’re not at the point in Spike’s lifecycle in the UK where we’re commissioning drama or even co-funding it. But we don’t want to rule it out.” But Spike sees drama as a very important genre. “I started to look at the UK market and realise that if we brought drama to Spike in the UK, it really elevated the proposition. It really helped us cut through,” he said. “If you’re in the UK and you’ve got pay-TV like Sky, you’ve got access to great quality drama.. but in the free-to-air world, it’s not actually that apparent.” But it’s not all drama. “We’ve got Vinnie Jones doing Police Interceptors Unleashed,” he noted. Is Spike looking beyond the US for its drama? “We definitely don’t want to put a ceiling on anything,” he said. ‘What we’re not going to do is put blinkers on. We’ll get the best content from wherever it comes from… and that includes Europe and the rest of the world.” Morris added that as Spike rolls out around the world, there may be opportunities to collaborate between them – for example on co-productions. Next up was Nacho Manubens from Atresmedia Television, which runs four free TV channels in Spain: Antena 3, LaSexta, Neox and Nova. The former two are the ones where the company is building its drama strategy. Antena 3’s biggest audience is women – its gender skew is 60-40 in women’s favour. It mostly works with original concepts from Spanish producers, producing three prime-time soaps per week, plus two daily soap operas. “Drama is one of the keys in our DNA for our network,” he said. The biggest trends recently have been period pieces: “Consistently, they are selling very well internationally,” he noted. LaSexta has a predominantly male audience, and is also experimenting with riskier drama, as well as partnering with distributor BBC Worldwide on a thriller called Refugiados (‘The Refugees’). 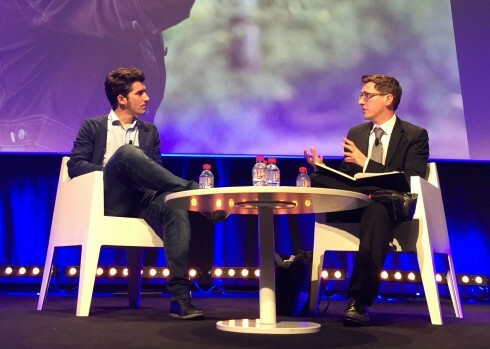 The project was first discussed at the MIPCOM show in 2013. “We started co-developing, and in August of 2014 we were shooting, so that was quite quick for a co-production,” he said. “We had a very specific, creative brief: we wanted to do something challenging and very original.” All the writers and creators were Spanish, working with an English consultant. Manubens talked budgets. It’s more or less €400k-€600k per hour for a top show for Atresmedia Television. And he added that the company is open to more co-productions with different partners abroad, along the lines of Refugiados. Next to speak was Piv Bernth from DR in Denmark, which is about much more than The Killing and similar dramas. “We are doing a lot of different stuff… we are doing children’s things. We have a tradition in Denmark that every year in December we bring a half-hour’s scripted fiction for children, from the 1st to the 24th,” she said. Bernth talked about DR’s move from dramas that looked as if they’d been transferred over from a theatre in its early days, to more of a filmic approach under her predecessor. “We went to the US and saw how they worked with this writer on the top of everything, and we brought that back to Copenhagen,” she said, before talking about the strategy of “one vision: you have to remember what you fell in love with in the first place… and that is the vision from the writer“. Next to speak was ZDF’s Susanne Mueller, talking about her company, which is one of two German public television channels, while also running other stations. It is the biggest single commissioner for fiction in Germany, spending around €400m a year on drama, mostly local productions, with more than 70 companies involved. “Believe me, fiction is – besides some sports of course – the backbone of our success,” she said. 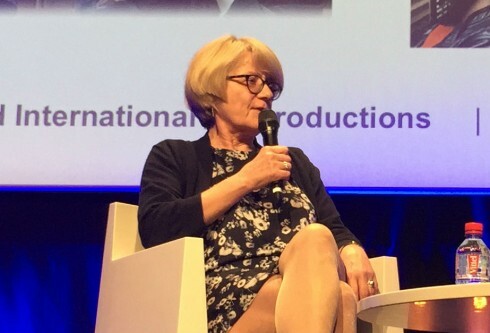 She also talked budgets: an hour of primetime drama tends to have a price of between €400k and €680k, while TV movies average a budget of €1.4m, and events or miniseries might get €2m-€2.6m for 90 minutes. Mueller’s department also handles a weekly “European crime” 90-minute slot, although often that involves editing two hour-long episodes into a single 90-minute episode – often acquired from foreign producers. Wallander, Cracker, Midsomer Murders and The Killing are among the shows that have aired in this slot. “We are not really looking for long-running series, because in the low number of slots that would be difficult,” she said. “Crime travels really well, it has tradition in most countries, and existing brands do help marketing… Selection is hard, especially today when we have so many good stories around.” Criteria include whether it is a good and new idea, a successful brand, or if it comes from a trusted partner with good talent involved. She added that Germany is just starting to focus on its own dramas that can travel in the international market: Generation War, Shades of Guilt, The Team and Blochin – The Living and the Dead being three examples cited by Mueller. ZDF is keen to do more co-productions, and is also experimenting with putting shows online before their broadcast: “It was not taking away from the viewers,” she said, suggesting it’s partly marketing, and partly attracting people who might not watch on TV. “We are a generalist channel. We have to do mainstream for big audiences. We can’t do the niche programmes. But nevertheless we want to do new things, and we want to experiment,” she said. The final speaker was Åsa Sjöberg from TV4 in Sweden, which is a group of channels headed by TV4 itself. “A broad-audience free-to-air commercial channel,” as she put it. The biggest commercial channel in Sweden, in fact, which affects what it does with drama: its target audience is ages 15-64, so there’s a wide remit. Acquisitions used to play a huge part in its schedule with shows like X Files and 24. “But times have changed a little,” she said. Acquisitions accounted for a 36% share in 2000 but are now 12.1% in 2015. “We can’t really base our schedule on these great series any more. It’s a really huge drop in shares and ratings. Today these shows need to follow the audience and go digital,” she said, suggesting that Swedish viewers want to watch overseas drama on digital services rather than on free-to-air linear channels. She noted that the model doesn’t work as well any more – the cinema premiere – while there are concerns that the first pay-TV window is boosting piracy as viewers seek shows out on filesharing services. “It is quite scary to see how many viewers will be left for us by the time we get to the free TV window,” she said.